POR EL QUE SE DELEGAN FACULTADES EN LA PERSONA TITULAR DE LA DIRECCIÓN DE EDUCACIÓN MEDIA SUPERIOR. NOTIFICACIONES DEL JUZGADO CUARTO CIVIL. ACUERDO POR EL QUE SE EMITE EL CÓDIGO DE ÉTICA PARA LAS PERSONAS SERVIDORAS PÚBLICAS DEL INSTITUTO ELECTORAL Y DE PARTICIPACIÓN CIUDADANA DE YUCATÁN. 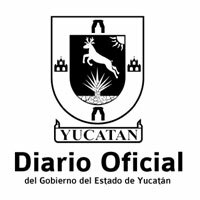 POR EL QUE SE REGULA EL CONSEJO ESTATAL DE MEJORA REGULATORIA DE YUCATÁN.